We call up for a demonstration thursday the 20th of May 1999, 17 o´clock from Ungdomshuset tagtvet 69 Copenhagen, Denmark. To The cityhall of Neoliberalistic Politics. 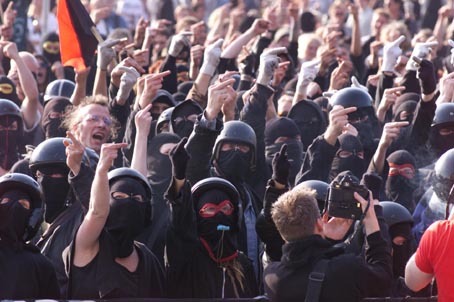 Fell free to wear mask and join the black block. We do not want a violent demo but if we`re attacked we´ll defend the right to demonstrate and the right to live in our house!